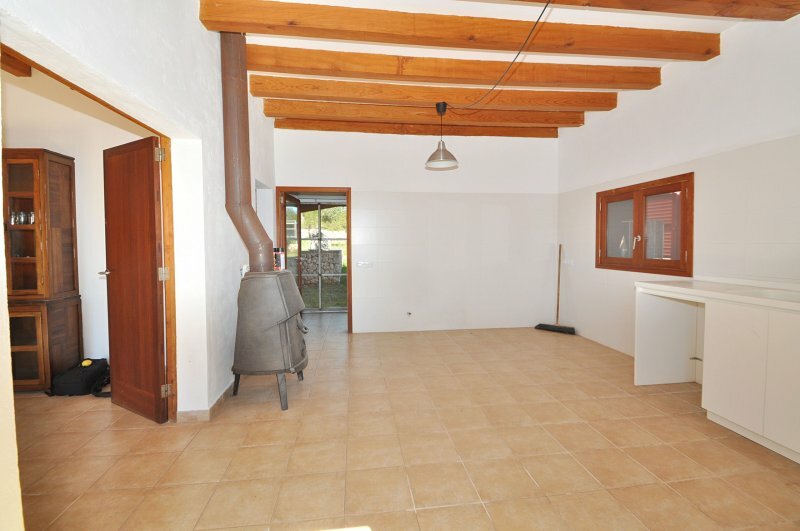 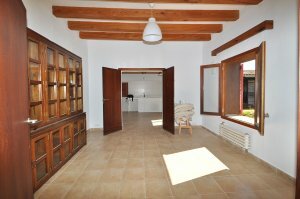 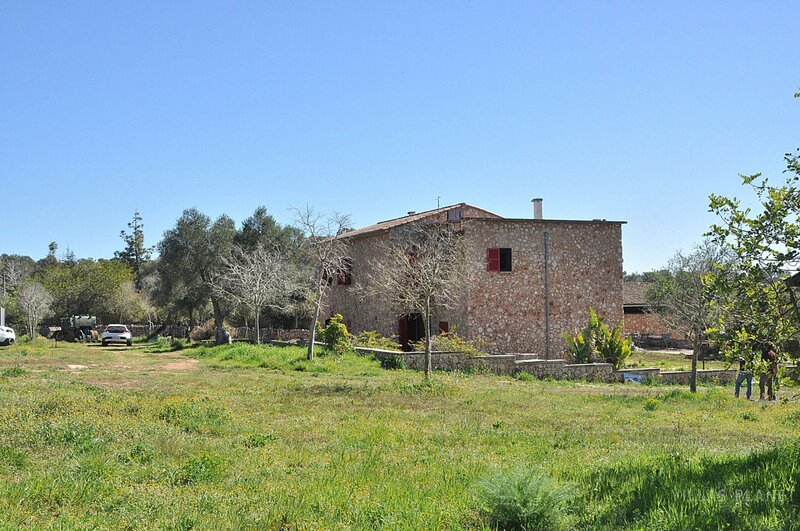 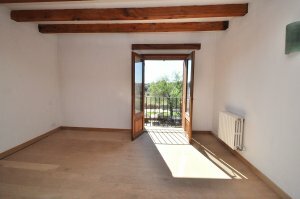 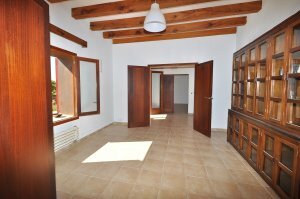 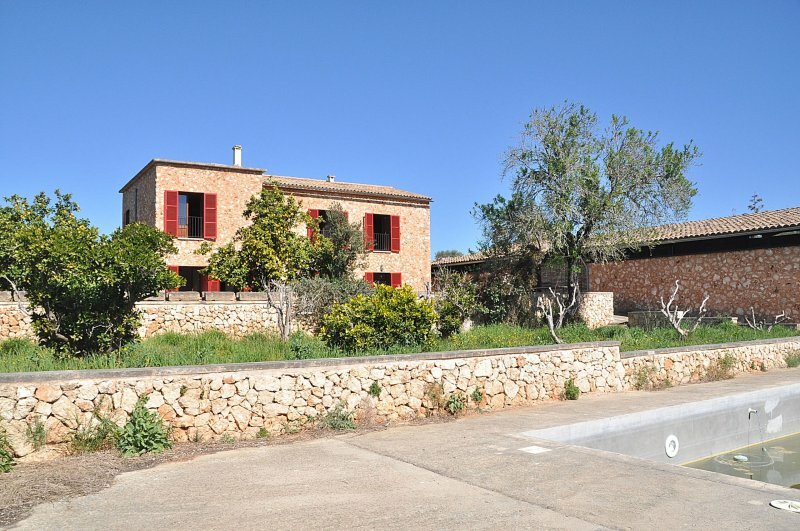 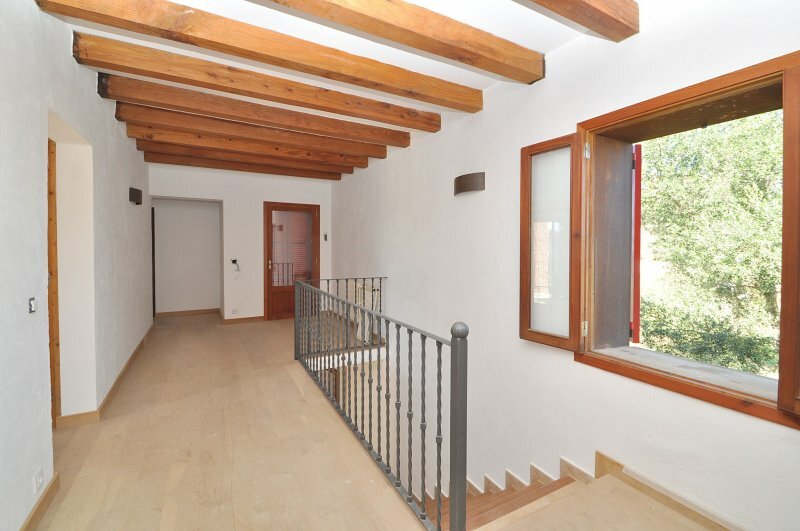 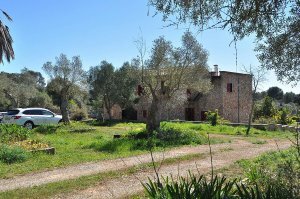 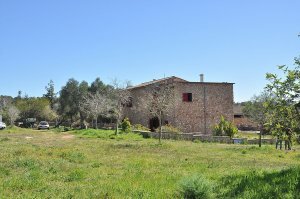 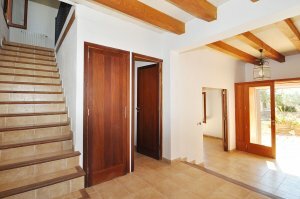 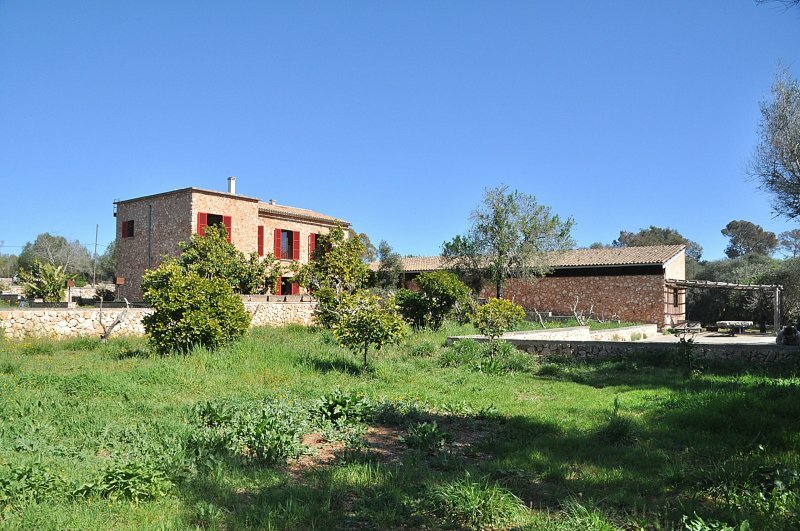 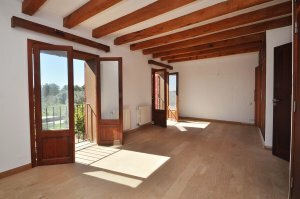 Country stone villa with pool in a rustic land plot in Sencelles. 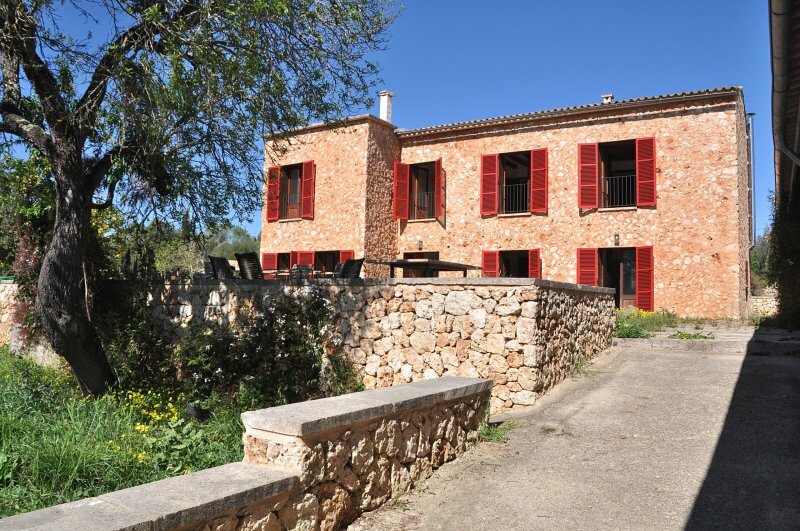 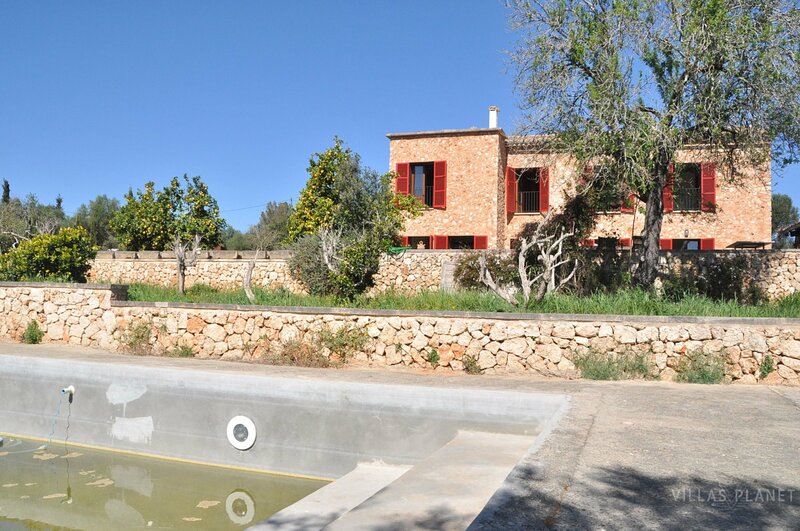 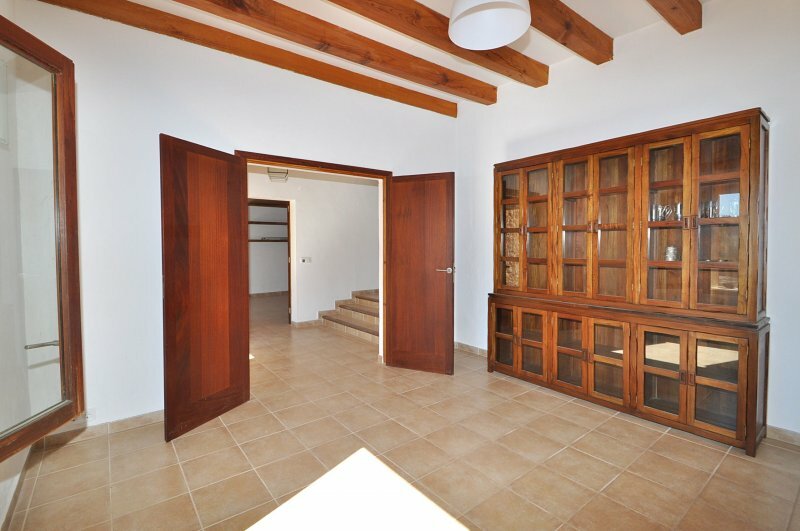 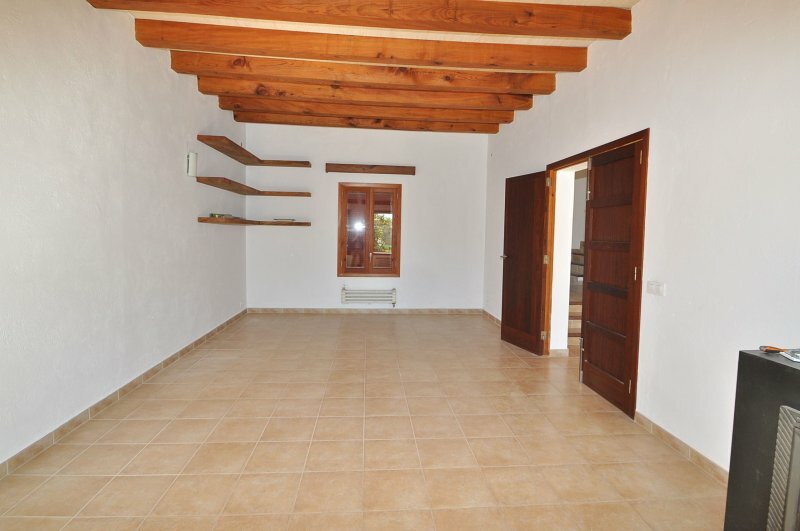 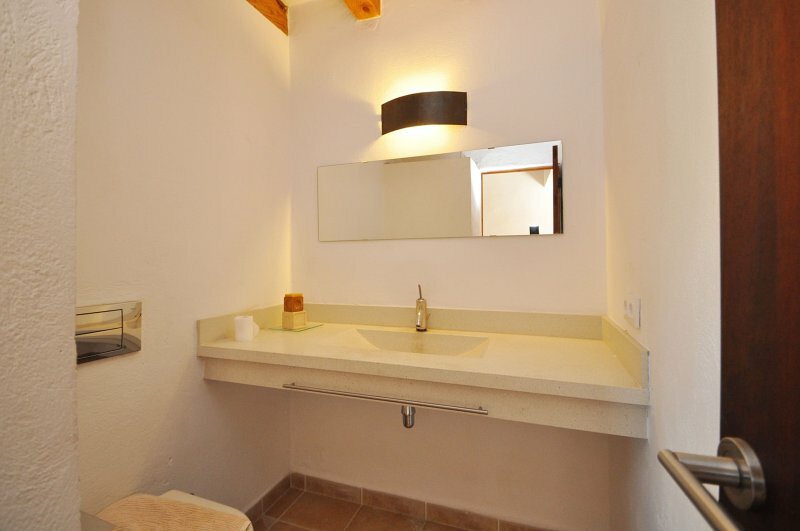 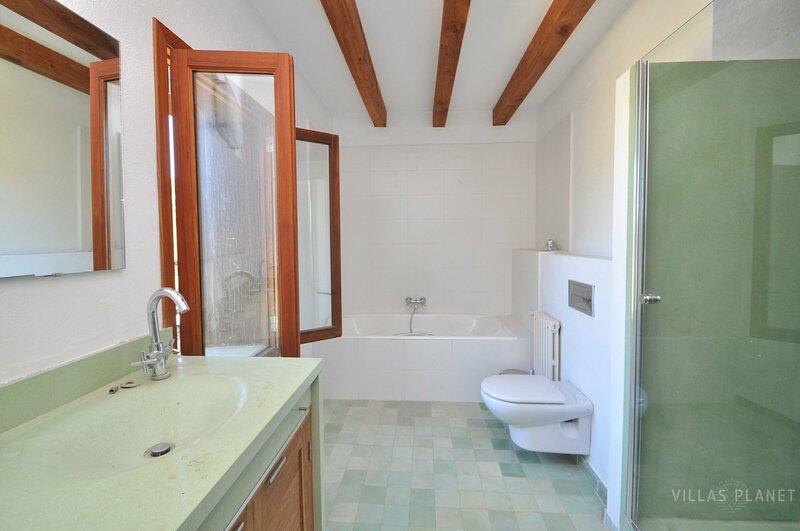 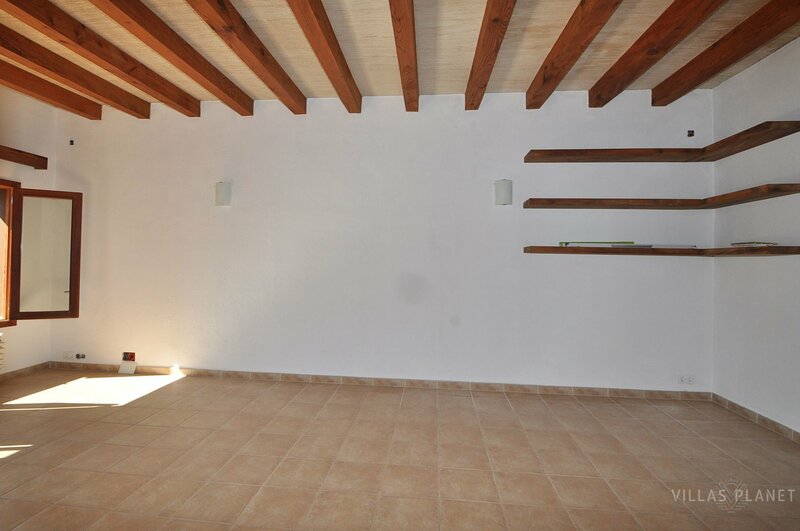 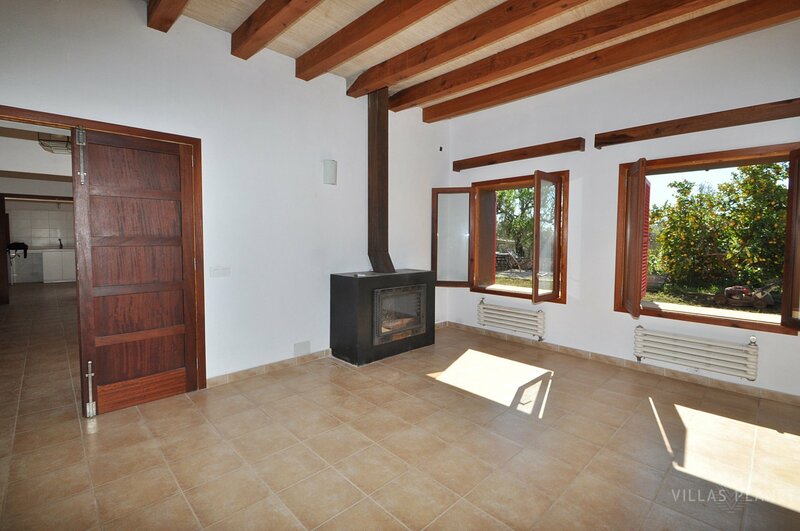 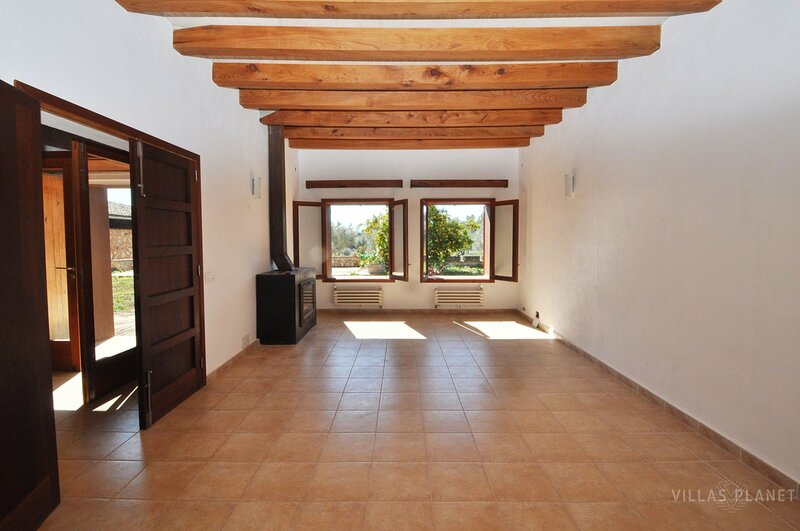 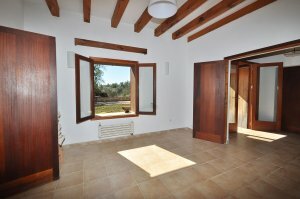 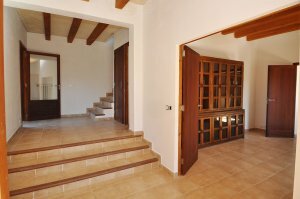 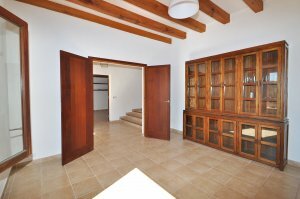 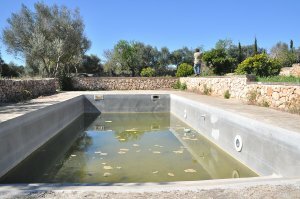 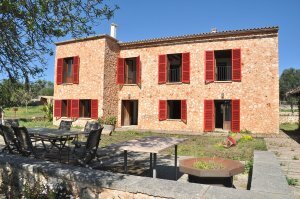 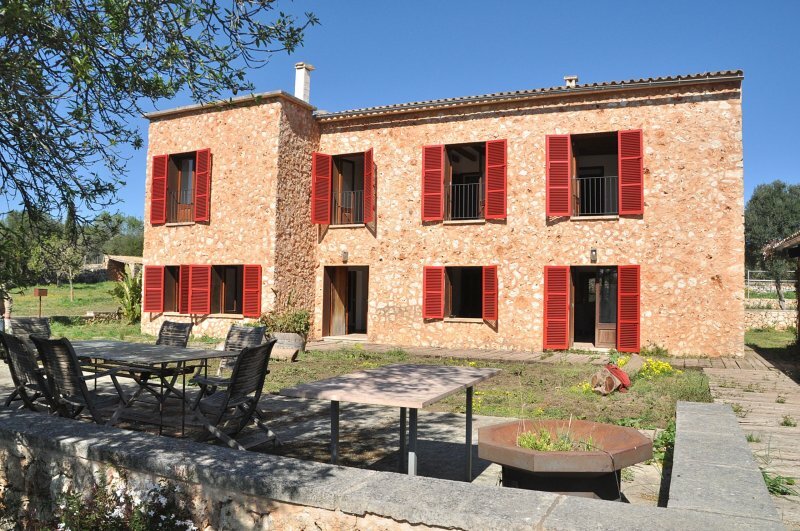 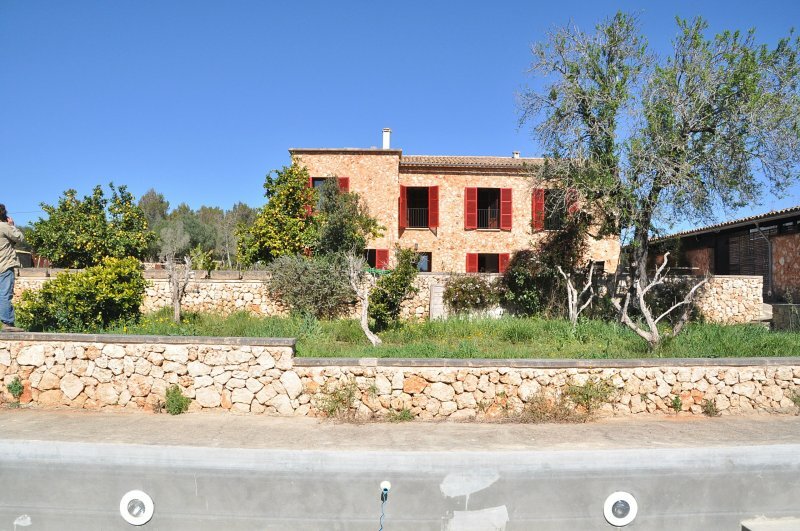 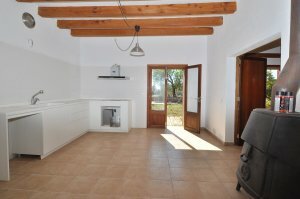 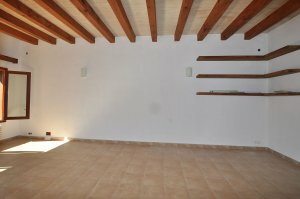 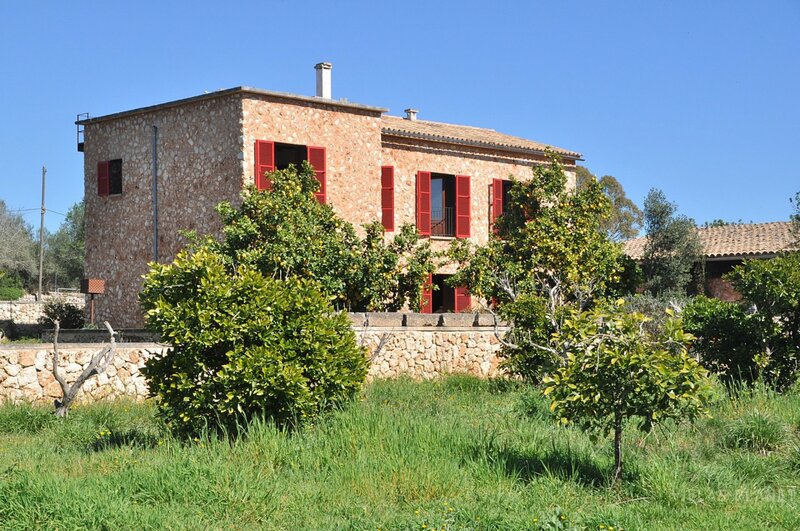 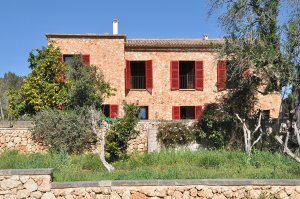 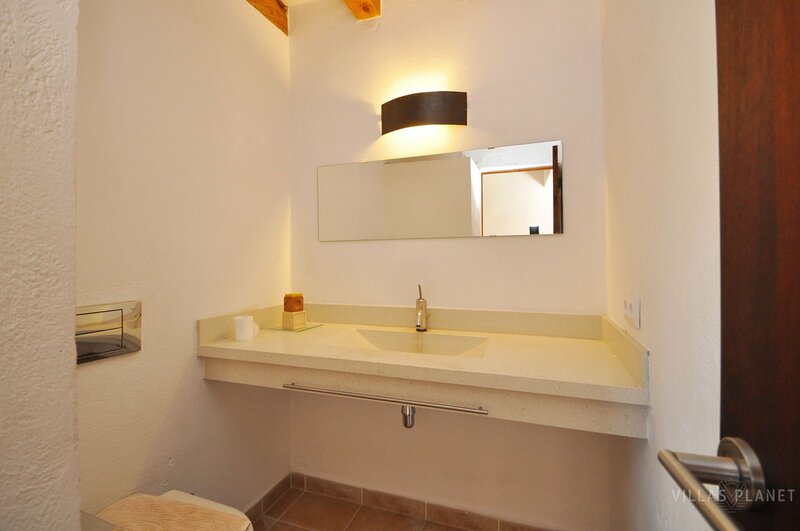 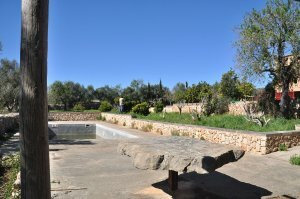 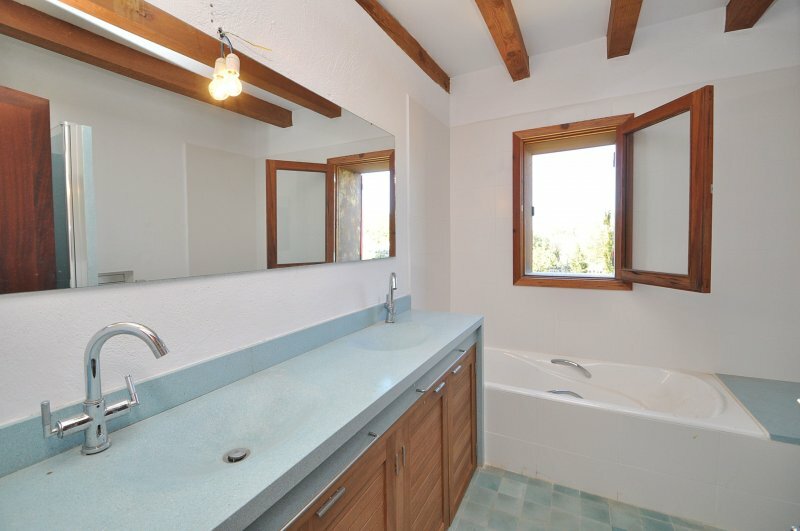 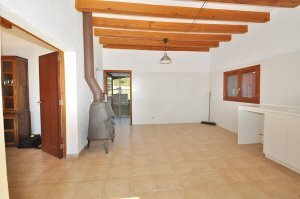 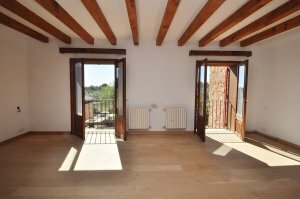 Finca with Country stone-lined house with swimming pool for a long-term rental. 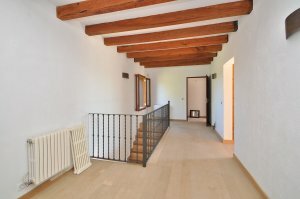 The house is distributed on two floors. The ground floor has a large living room with fireplace, wide kitchen-office, with pantry-laundry, and guest toilet.From the living room and the kitchen you can directly access to the garden and pool area. 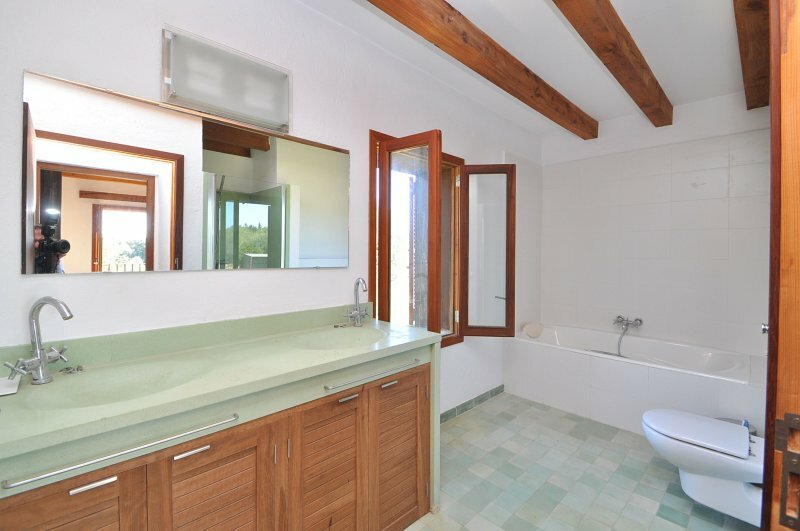 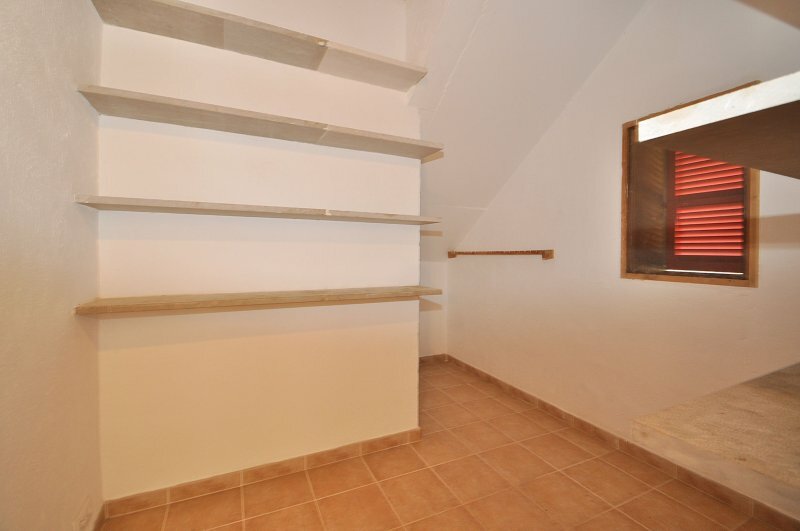 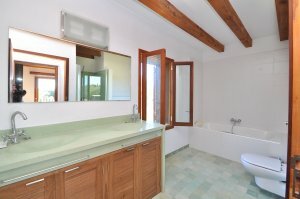 On the upper floor it distributes in the three bedrooms, one of them the main one with its own private bathroom with bathtub and separate shower.The other two double rooms share a bathroom also with bathtub and separate shower. 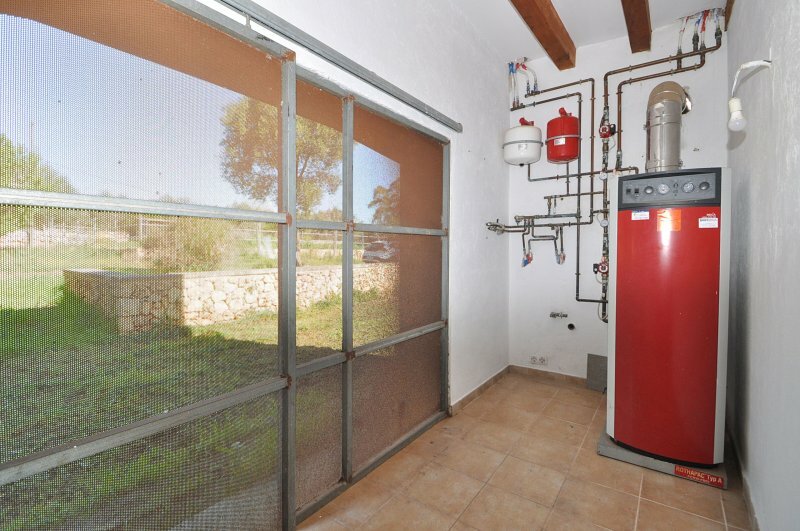 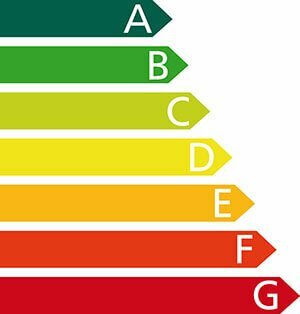 The house is equipped with central heating with radiators and oil boiler.It also has two iron chimneys one in the living room and another in the kitchen. 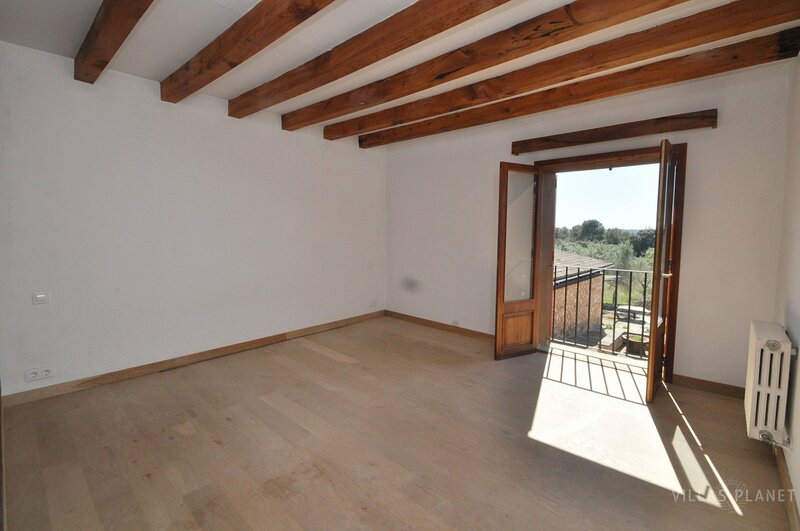 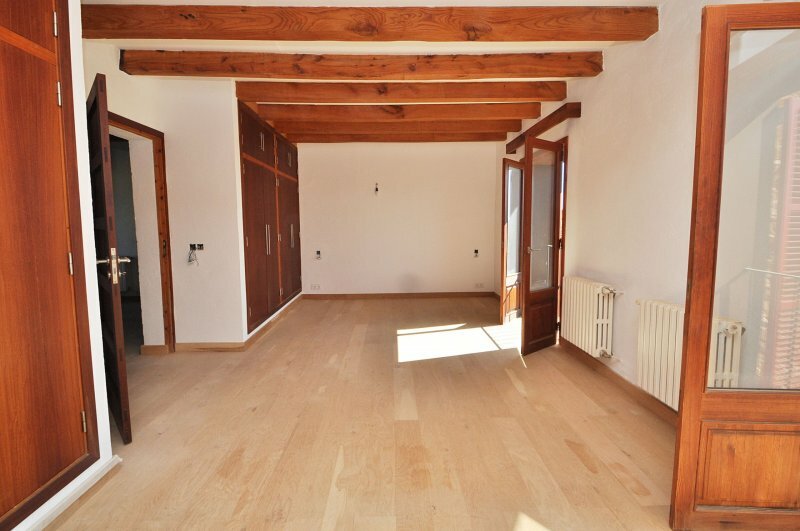 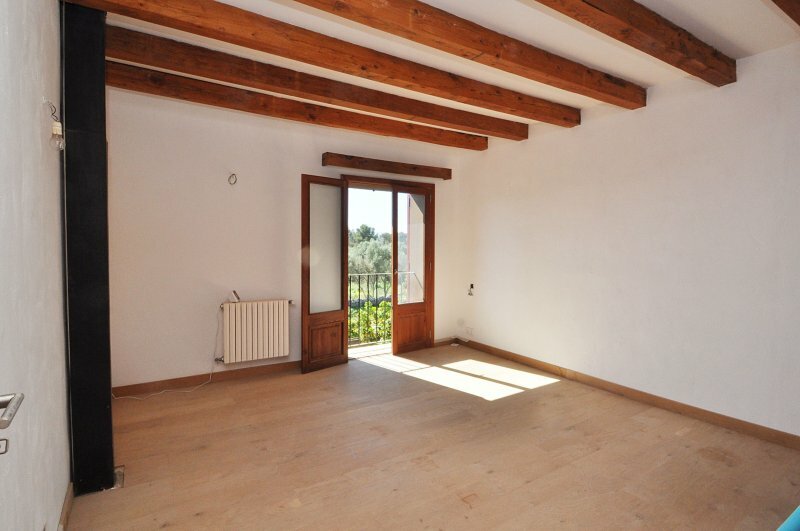 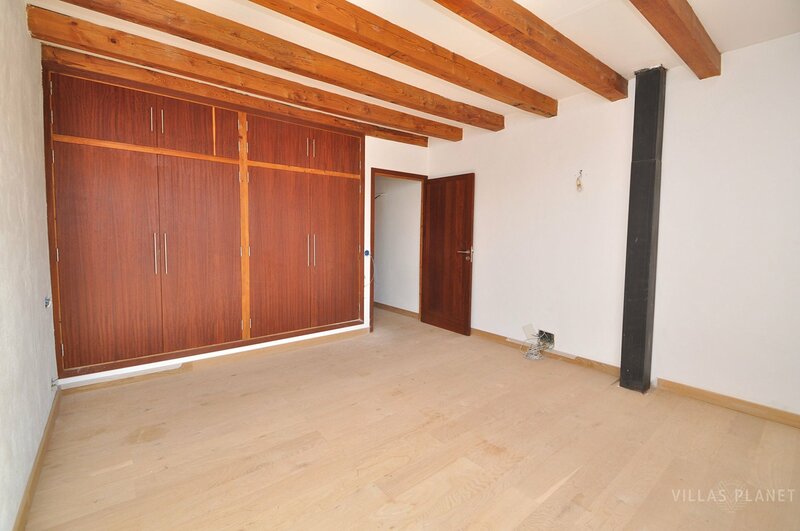 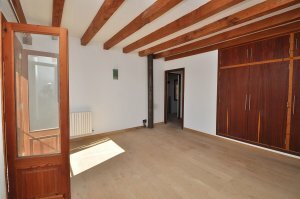 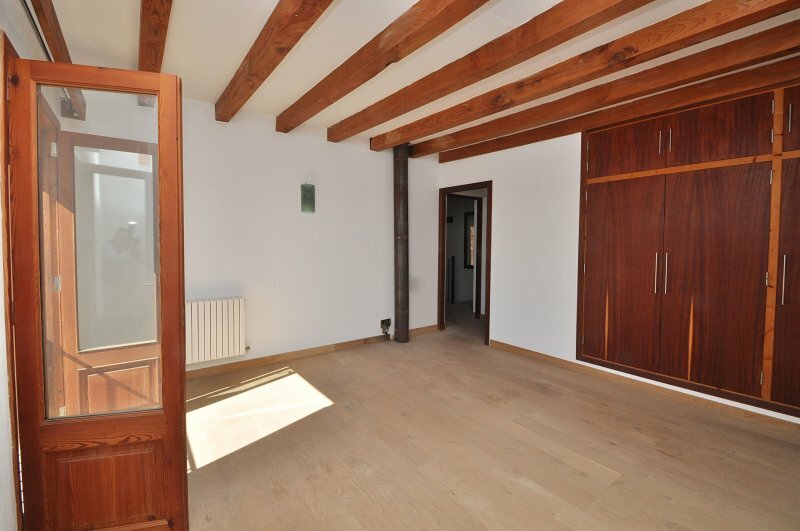 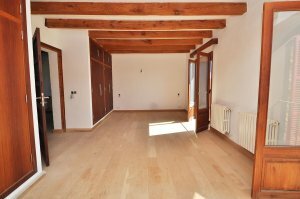 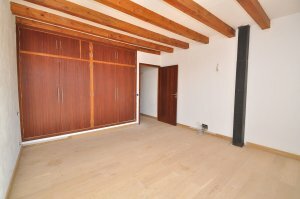 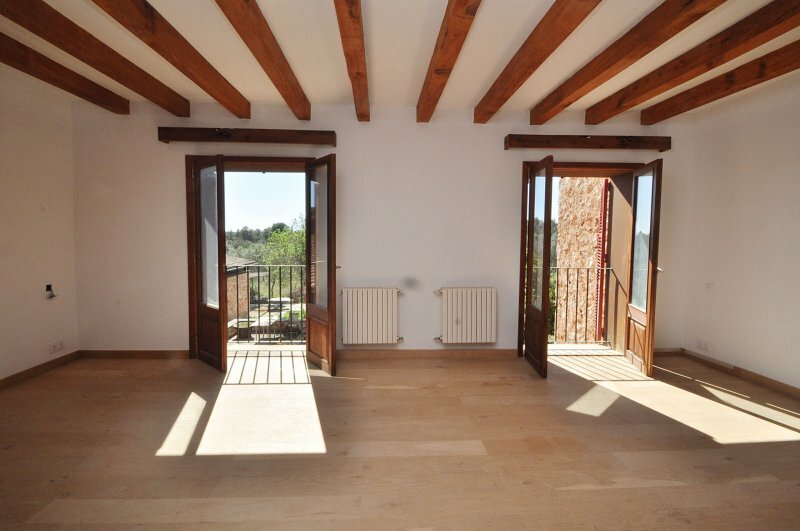 Wooden floorboards throughout the upper floor. 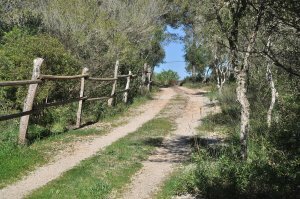 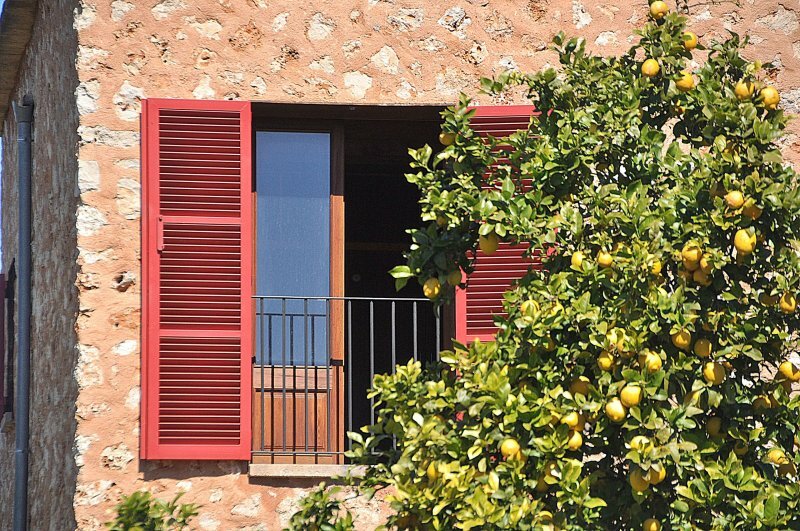 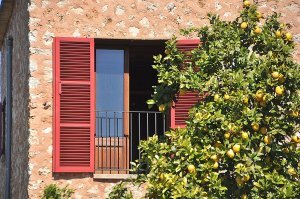 The Land plot of about 7.000m2 has a garden area, fruit trees, a horse manège facility available if desired. 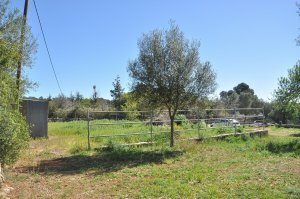 It is fenced in all its perimeter. To consult long-term rental conditions.